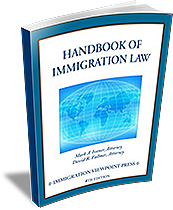 For more than 40 years, immigration attorney Mark Ivener (biography – PDF) has exclusively practiced immigration law. He has lectured on U.S. immigration law, visas and EB-5 investor Green Cards for organizations such as the World Trade Institute; the International, California and Los Angeles Bar Associations; the American Immigration Lawyers Association (AILA); and Immigration Lawyers on the Web (ILW.com). His books include Handbook of Immigration Law, Volumes I & II; Doing Business in the USA Under Free Trade; Get the Right Visa; A Complete Guide to Getting An American Visa (in Japanese); and Have You Thought About Immigrating to the US? (in Spanish). 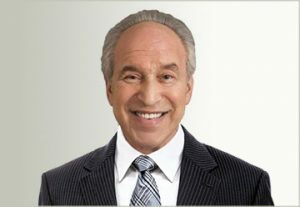 In addition, he has authored many articles for such publications as the International Law Journal, the Canadian-American Bar Association Newsletter and Business and the Law. A leader in his field, Mark Ivener is a founder of the National Consortium of Immigration Law Firms (IMMLAW) and the Alliance of Business Immigration Lawyers (ABIL). He is listed in the Martindale-Hubbell Bar Register of Preeminent Lawyers (Immigration and Naturalization), the International Who’s Who of Corporate Immigration Lawyers and Chambers Global and USA. Chambers is the foremost ranking organization of lawyers and law firms around the world. The following are clients’ and attorneys’ quotes in Chambers about Mark Ivener. Mark Ivener of Mark A. Ivener, A Law Corporation, is a highly experienced and respected figure in the California immigration market. Among other immigration services, Ivener continues to be a leading figure in the EB-5 investor category. Mark Ivener … is described by interviewees as “an authority among immigration lawyers.” He continues to garner significant market respect for his many years at the forefront of the business immigration field. What the team is known for A hugely respected West Coast business immigration firm, regularly acting for blue-chip corporate clients from its Los Angeles headquarters. Handles the full range of matters, including investor visas and visas for entertainment industry clients. Mark Ivener is described by interviewees as “the dean of immigration lawyers.” He continues to garner significant market respect for his many years at the forefront of the business immigration space. Mr. Ivener was the only immigration attorney named in Citywealth Magazine’s Top 100 Wealth Advisors and Managers in the Americas; Attorney Leaders List, the annual guide to the Most Highly Regarded Figures in Private Wealth Management; and North America’s Leading Advisors Top 50. Mr. Ivener was quoted in the February 3-9, 2012, edition of New Orleans City Business, in an article on EB-5 investors, “Lawmaker Wants Foreign Investment for Terminal.” In an article about Louisiana state senator A.G. Crowe wanting to use EB-5 investment funds to finance the Louisiana International Gulf Transfer Terminal, currently an idea for a port at the mouth of the Mississippi River, Mr. Ivener commented on potential conflicts of interest that can result if brokers represent regional centers to which they are steering investors. Mr. Ivener noted that it is common to represent both types of clients separately. “What if EB-5 Project Fails?” panel, Los Angeles County Bar Association, Biennial EB-5 Conference, Universal City, February 13, 2016. “EB-5 Green Card Program”, International Trade: Global Flows and the Digital Age, 4th Annual California Asian Business Summit, CalAsian Chamber of Commerce, Hilton OC Costa Mesa, California, September 18,2015. “Three EB-5 Investor Green Cards / E-2 Visas Seminars”, University of Illinois Champaign, April 8-11, 2015. “ International Investors and California Wineries GW”, Peninsula Beverly Hills, November 6, 2014. “EB-5 Investor Green Cards”, Destination Los Angeles, Arcadia Association of Realtors, Pasadena, California, Thursday October 2, 2014. "Advanced – Best Practices for Investor Filings", panel at the Southern California EB-5 Conference, Newport Beach, California, Monday July 15, 2013. "Joint – Overview of USCIS Policy Memo", panel at the Southern California EB-5 Conference, Newport Beach, California, Monday July 15, 2013. "EB-5 for Investors", EB-5 Investment Visa Match-Making Forum, City of Industry, California, Friday April 19, 2013. "The EB-5 Summit for Attorneys and Developers" for ILW.com, September 14, 2012 in Los Angeles, CA. Mr. Ivener gave a speech on "Ethics—How to Avoid Conflicts of Interest and Professional Liability Insurance Considerations". "ABIL U.S. Investment Visas and Green Cards for Foreign Nationals: SESSION 1: Visa options for individual investors" ABIL Webinar, Wednesday, April 13, 2011, Mr. Ivener gave a presentation on Due Diligence for Regional Center EB-5 Green Card cases. "EB-5 Investor Green Cards," Los Angeles County Bar Association, EB-5 Seminar, March 20, 2010, Los Angeles, California, Mr. Ivener gave an EB-5 investor Green Card presentation. "EB-5 Regional Center Investments," National Regional Economic Development Center Chinese Business Summit, January 4, 2010, Las Vegas, Nevada, Mr. Ivener was the main speaker. "Investors for Experts," ILW.com EB-5 Seminar, Los Angeles, California, December 17, 2009, on a panel of speakers. "EB-5 Regional Center Investments," NREDC, July 23, 2009, Bangkok, Thailand. Mr. Ivener was the main speaker. "Commercial Real Estate Purchases in the United States & the EB-5 Green Card," Thai Appraisal Foundation, Monthly Forum, July 21, 2009, Bangkok, Thailand. Mr. Ivener was the main speaker. "Immigration Law Practice Success – EB-5 Marketing," American Immigration Lawyers Association Annual Conference, June 5, 2009. Mr. Ivener was a participant on a panel discussion. "Interactive Multi-Jurisdictional Planning for Immigration and Expatriation Visas and EB-5." The 2nd Annual STEP Pacific Rim Conference, May 8, 2009, Los Angeles, California. Mr. Ivener participated in discussion on immigration EB-5 residency and domicile changes. "Growing Your Practice in a Time of Chaos: EB-5 Marketing Options," American Immigration Lawyers Association 2009 Midyear Conference, January 19, 2009, Aruba. "EB-5 Immigrant Investors: Here and Now," ILW.com Seminar, November 20, 2008. "Foreign Nationals Who Should Consider EB-5 Regional Centers" and "Due Diligence Compliance and EB-5 Legal Issues," Florida EB-5 Foreign Investor Seminar, October 24-25, 2008, Orlando, Florida. "Investor Visas Workshop EB-5," ILW.com Seminar, New York, New York, December 7, 2007. "Investor Visas Workshop EB-5," ILW.com Seminar, Orlando, FL, June 13, 2007. "Immigration For Investors: NIVs and IVs EB-5," ILW.com Seminar, August 24, 2006. “International Investors & California: EB-5 Visas/California Taxes”, Mark Ivener & Gary Wolfe, California CEO Business News & Information, May 11, 2016. “EB-5 Investor Green Cards”, Mark Ivener, Partner, Sam Ngo, Immigration Attorney, Mark Ivener and Gary Wolfe, International Tax Lawyer, The Wolfe Law Group, Los Angeles, USA, Offshore Investment Magazine, November 2014. “International Corporate Immigration Review” – Published in InterContinental Finance, September 2010. “Fast Track Green Cards Through Investment” – An article by Mr. Mark Ivener published in Immigrant Magazine in February 2009. “Perm Labor Certification,” with David Fullmer, The Immigrant Magazine, July/August, 2008. “Visas for Individuals with Extraordinary Ability,” The Immigrant Magazine, May/June, 2008. “J-1 Visas for Interns and Trainees,” The Immigrant Magazine, March/April, 2008. “Fast Track Green Cards through Investment,” The Immigrant Magazine, January/February, 2008. “Immigration to the U.S.: Tax Planning and Fast Track [EB-5]Permanent Residency,” with co-author Stephen A. Malley, The California International Law Journal, Vol. 15, No. 1, 2007. “Stopped at the Border: Anticipating Roadblocks in the Work Visa Application Process Can Help Ensure Safe Passage,” HR Magazine, June 2006. “U.S. Investor Green Cards in Less than a Year,” Citywealth, January 28, 2006. “Complete Immigration Review Avoids Unwelcome Surprises,” Los Angeles Daily Journal, October 2005. Mr. Ivener has decades of experience in helping immigrants from around the world achieve U.S. permanent residency.